Book stand. You want to be able to prop up a copy of your book so everyone can see the cover. A simple acrylic one works just fine, and you can find it at office supply stores. In fact, pick up two! Signage. You want to provide important information for your buyers: price, perhaps a short glowing review, method of payment. Again, acrylic sign holders are at the local office supply store, and they come in a variety of sizes. I use one 8×11 size to display buying information, and I have a 4×6 sign set up next to a small tub inviting folks to sign up for my newsletter. Depending on the event, you can easily customize the sign each time by printing a new one from your home computer. For example, when I’m donating part of my proceeds to a special charity or offering a multiple book price, I can include that on the sign. Newsletter sign-up sheet/collection box. I have a small plastic container with pens and little notepads in it for people to use to leave their email address for my newsletter subscriber list. I also have a small book-related prize sitting next to the box; every month I draw a winner from those addresses and send out the prize. Tablecloth. Your host may not have a tablecloth for your use, and you’ll wish you had one. It gives you that professional look! Handout. Depending on your budget and creativity, this can be anything that will remind the customer about you once you’re no longer in sight. Bookmarks and postcards printed with your book cover work nicely. Do you write sweet romances? Give out candy kisses! Credit card reader. I resisted getting one for my first few years as an author, and it was a mistake. Few people have the cash on hand to buy your book if you’re doing direct selling, and the last thing you want is for someone who wants to buy the book right then and there to have to walk away and buy it later…because chances are very good, it won’t happen. Research the different options available. I use Phoneswipe, and I know many authors who use Square. Cash. Some folks do use currency, so you’ll want to bring some cash to make change. I keep a small zipper case in my marketing bag with enough change for five books, and it doubles as a place to keep any cash payments secure. 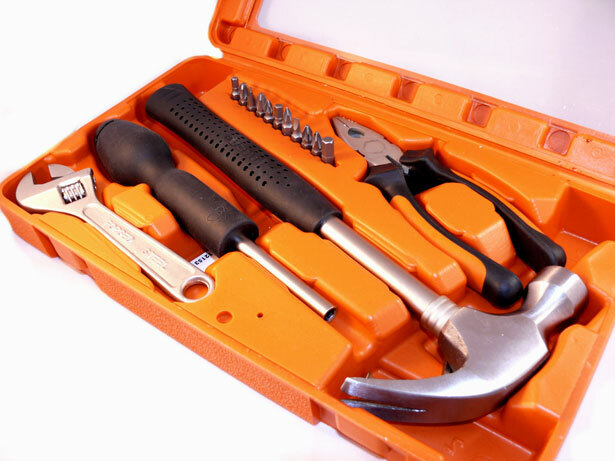 Is there anything else you’d want in your marketing tool bag? This entry was posted in Writing and tagged booksignings, Janice Dunlap, marketing tips by jandunlap. Bookmark the permalink.